Acupuncture is a form of Traditional Chinese Medicine (TCM) that historical texts date its usage as far back as 2000 years ago. The act of acupuncture is defined as the insertion of very thin (practically painless) needles into the skin at specific locations in order to influence proper flow of blood in the body. Traditional Chinese theory explains the art of acupuncture as a technique used to bring the natural balance of Qi (pronounced CHEE), or our life-giving force. Modern Western Medicine generally replaces the word Qi with oxygen. When the body’s Qi is properly balanced (or oxygenated), the result is overall good health. However, if there is a disturbance, blockage or flow becomes insufficient, illness will become present. Qi travels through 14 zones or channels called Meridians. Modern Western Medicine has described these pathways as arteries and veins, the vessels in which our body transports oxygen through blood. 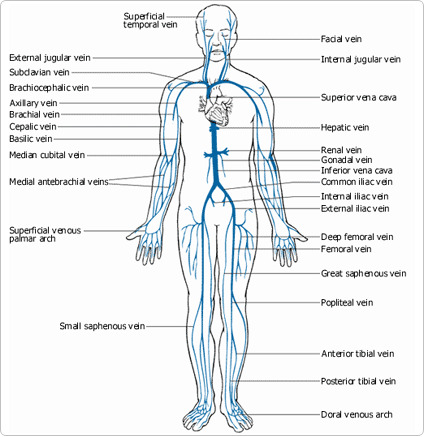 The two images below depict the vessels and meridian in the human body, respectively. It is said that there are 365 acu-points on the human body, most of which have specific energetic functions. 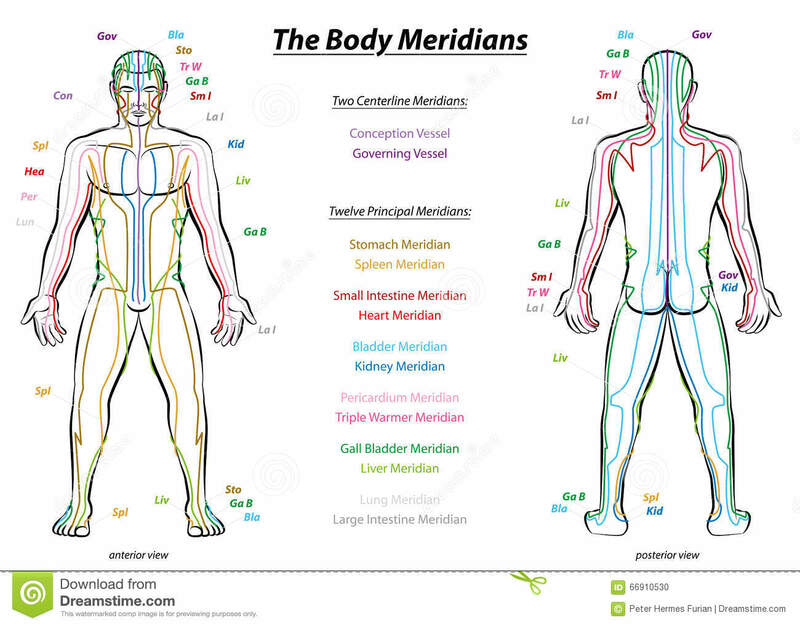 Most points are junctions on the body’s internal pathway of the Meridian. Some points, when activated by an acupuncture needle, move Qi toward the center of the body while others bring energy to the skin’s surface. Modern Western Medicine defines this process as the body’s natural reaction to heal itself. When an area of the human body has sustained an injury, the brain releases a greater than normal blood supply to the area to immediately begin the healing process. In addition, the brain secretes endorphins to block the transmission of nerve endings sending the signals to trigger pain. The following video goes into greater detail, explaining the function and validity of acupuncture. I Can Feel it in My Bones! Really?